According to the Ubuntu wiki pages there will be a weekly question and answer series to be lead by community leaders and Canonical managers. 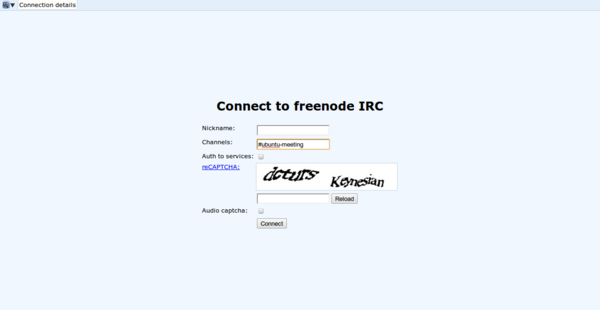 All of the sessions will take place over IRC in the #ubuntu-meeting channel on freenode.net. Anyone can participate in these question and answer sessions by logging into the channel and asking questions. Questions should be asked by prefixing it with 'QUESTION' in uppercase letters - this helps the session leader pick out the questions and answer them. Example—QUESTION: What is the current state of Unity? I'll also add summaries and links to the logs here on You-In-Ubuntu in case you missed the meeting. In addition if there is something you would like asked during these sessions let me know and I'll see if I can get your questions posted so they can be part of the questions and answer session. Just let me know your name so I can attribute the questions to the right person. As the wiki is updated I'll also update schedule.